Whether saltwater fishing, freshwater fishing on the river, or fly fishing on a stream, it’s these kinds of experiences that we remember for a lifetime. These memories are a blend of being there when our father, brother, son, or friend reels in a huge King Salmon, Halibut, or Steelehead and when we ourselves feel that rush when we have excitement on the line. These moments are worth more than the gold Alaska is famous for. Located at the southern end of Alaska’s panhandle, the Ketchikan area is home to vast schools of Pacific salmon on their way to their home streams to spawn. Since it is a gathering point for five species of salmon, Ketchikan has earned the nickname “Salmon Capitol of Alaska.” Our three fishing lodges are right in the middle of the action. 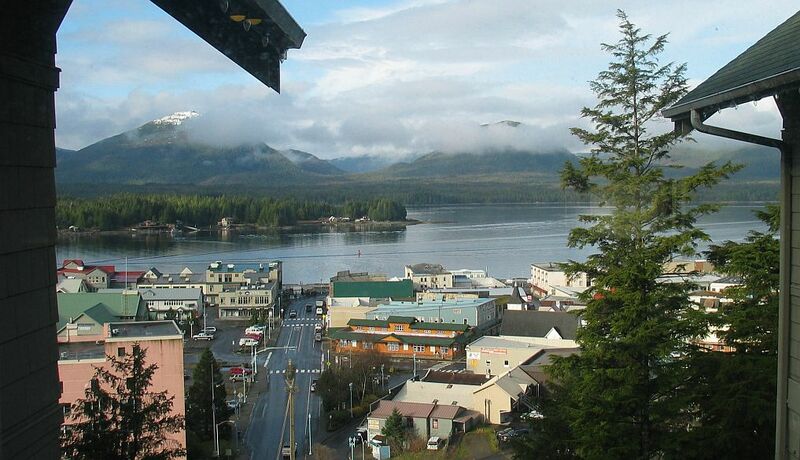 Ketchikan is Alaska’s most southern port and can be reached via a short 90 minute flight north from Seattle. In addition, the community is served by the Alaska State Ferry systems. Our Alaska Fishing Lodges are nestled in excellent locations in the Ketchikan area. With a little luck you can wet a line the same day you arrive!